When the Crossover Rewards program offered to Starwood Preferred Guest and Delta SkyMiles elite members debuted last year, it was the only program of its kind. It offered elite members of both programs reciprocal benefits that took membership perks to a whole new level. 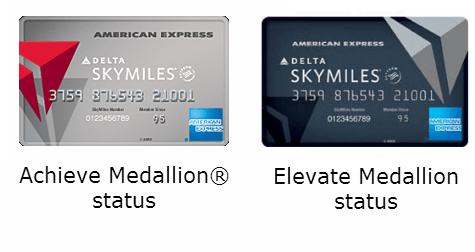 The program is open to all Delta SkyMiles elite members (Silver, Gold, Platinum, and Diamond) as well as Starwood Preferred Guest Gold and Platinum members, though benefits vary depending on membership level. All Delta SkyMiles elite members are eligible to earn one mile per $1 spent at Starwood hotels. While it may not seem like much, this is in addition to the regular payout of two Starpoints per $1 earned by non-elite SPG members. These perks can certainly make travel a bit less stressful while also saving members some cash on essentials like Internet and checked bags. While the additional one point/mile per $1 spent isn’t earth shattering, it’s a nice bonus considering there isn’t any cost involved in earning it. 1) Earn 50,000 Delta Medallion Qualification Miles (MQM’s) through the Delta Reserve and Platinum Delta SkyMiles credit cards. This method requires a total of $30,000 in credit card spending and gets you Delta Gold status. If you’re aiming for Platinum (75,000 MQM’s) or Diamond status (125,000 MQMs), this method still gets you pretty far. 2) Pick up a Starwood Preferred Guest Business card from American Express. The card grants members Gold membership after spending $30,000 per calendar year. 3) Pick up both the Starwood Preferred Guest Business and personal cards from American Express. You’ll end up with a combined 60,000 Starpoints. Use the points to mattress run for Gold (10 stays/25 nights) or Platinum status (25 stays/50 nights) at Starwood’s bottom tier Category 1 hotels, which require just 2,000 points per night on weekends. If you have yet to meet the elite membership requirements to qualify for the Crossover program, you can still register for it online. When you do meet the membership requirements, your perks will automatically kick in. I recommend you do this so that you don’t have to worry about going back and registering for Crossover Rewards once you’re eligible. On your next trip to the airport, you may find yourself getting a surprise upgrade or those pesky checked bag fees waived.